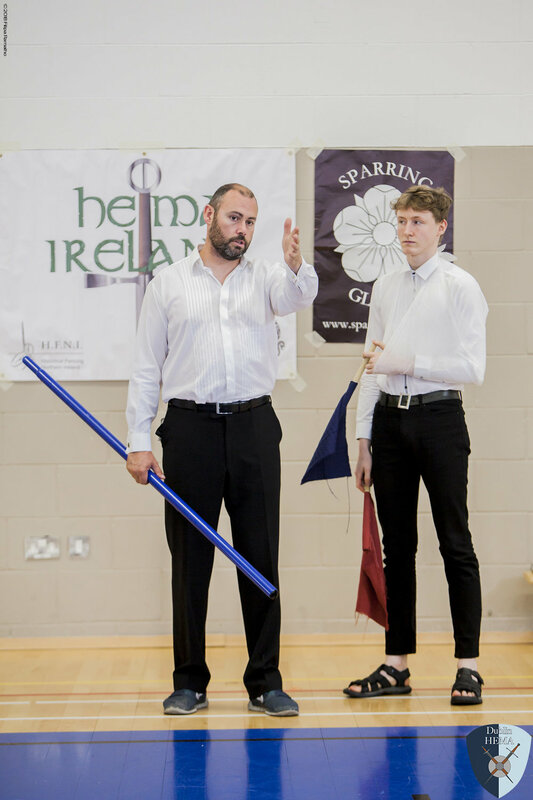 The Dublin HEMA Club is one of the oldest Historical European Martial Arts clubs active in Ireland. It was founded in 2012 by Neil Byrne. 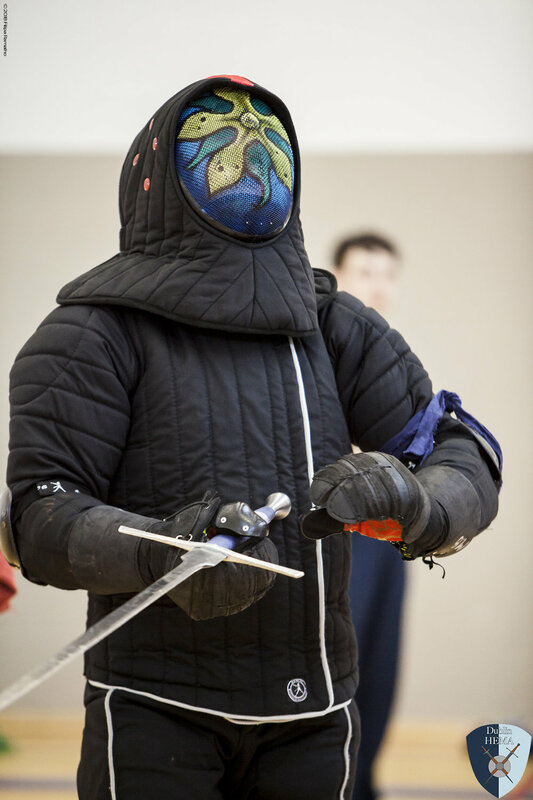 Neil, has over a decades experience in a variety of different forms of fencing which culminated in his focus on Historical European Martial Arts. 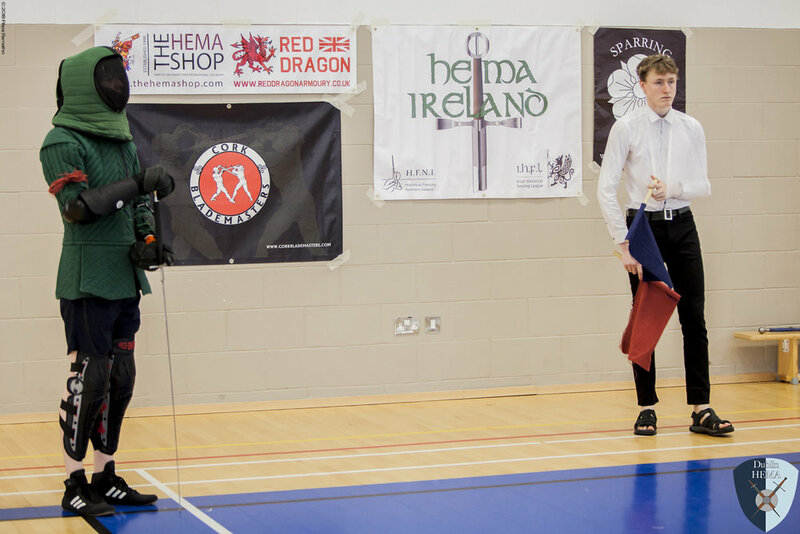 He was the founding president of HEMA Ireland, a national representative body for nearly all HEMA clubs found in the Republic of Ireland. 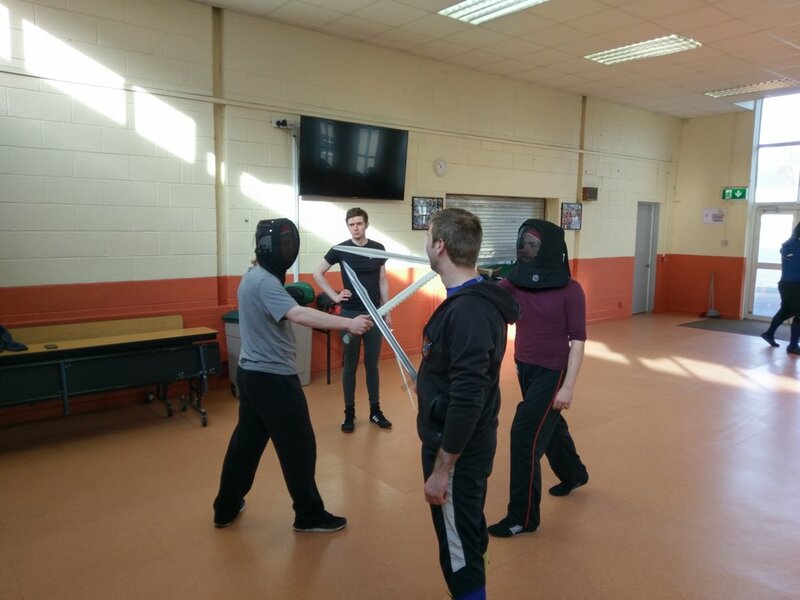 As well as running the Dublin HEMA Club, Neil has spoken at a number of events on the topic of weapons and armour from the Middle Ages and organised the largest annual HEMA event in the country Féile na Gaiscígh which runs on the second weekend of February. 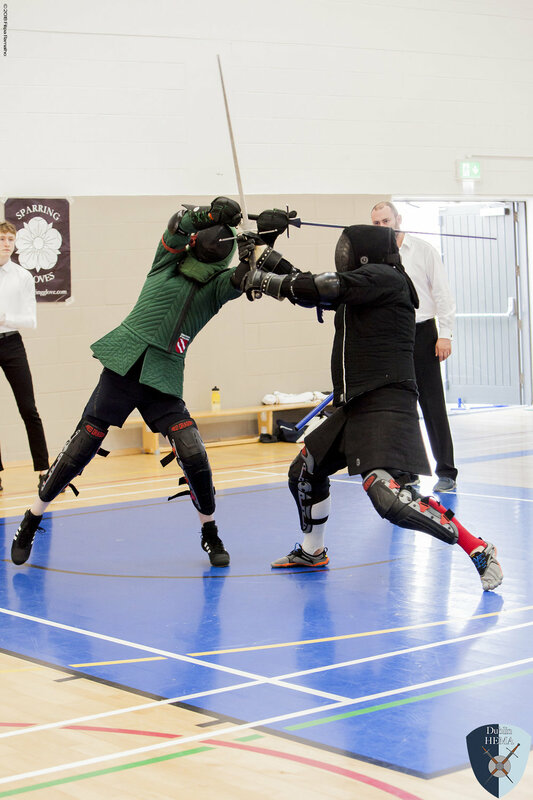 The Dublin HEMA Club focuses on on two weapons, Longsword and Sword & Buckler. 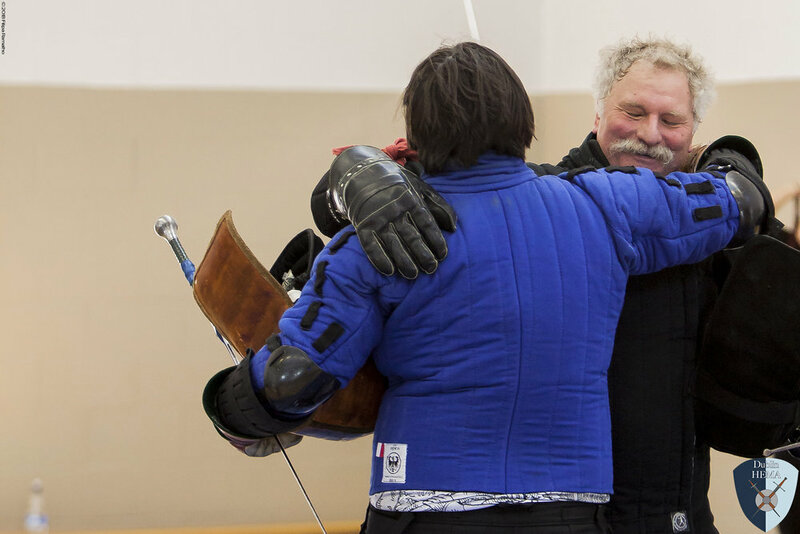 In both disciplines our source material for our curriculum is German Fecthbuch or fencing manuscripts writen by medieval fencing masters such as Dobringer, Ringeck and Meyer influences. Our Sword & Buckler classes work entirely from the MS. I.33 or Walpurgis Fechtbuch, the oldest know extant European source on medieval fencing. 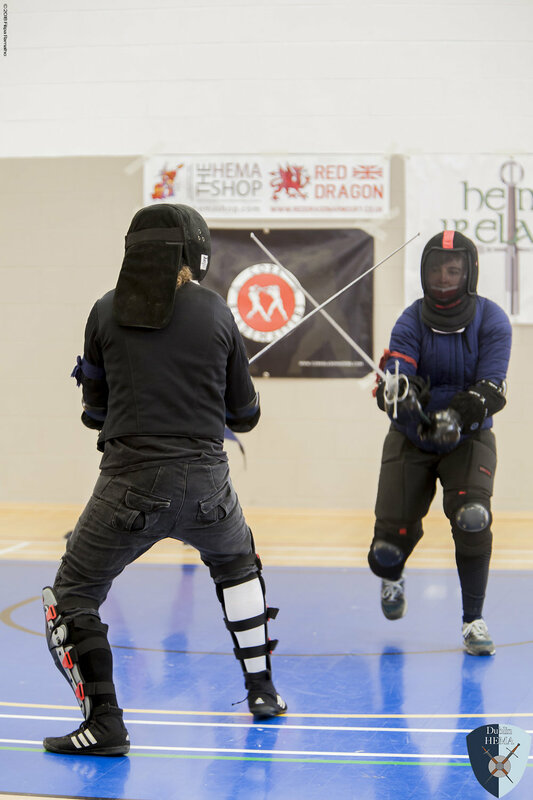 HEMA or Historical European Martial Arts, refers to the study and practise of fighting systems found throughout Europe in the Middle Ages and later which were recorded in manuscripts written by fencing masters of the time that have survived to this day. 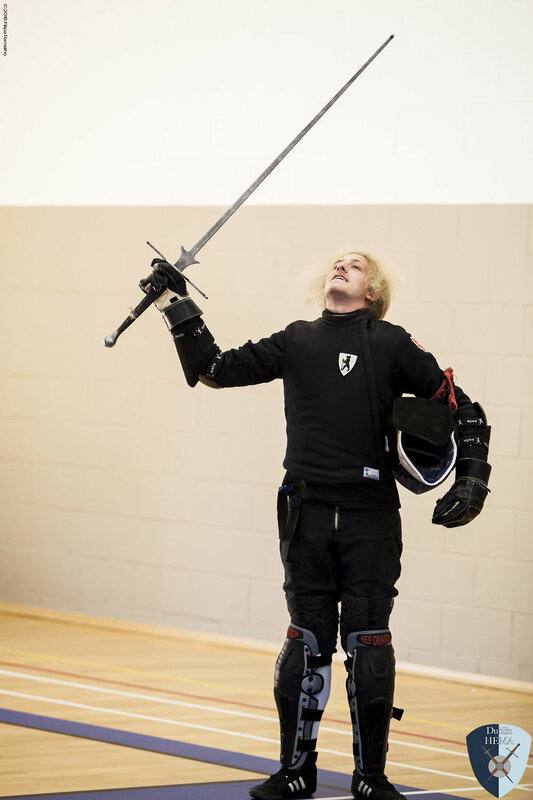 Most HEMA clubs focus on a small number of weapons from a specific period and usually work of a very small number of texts, usually from roughly the same region. 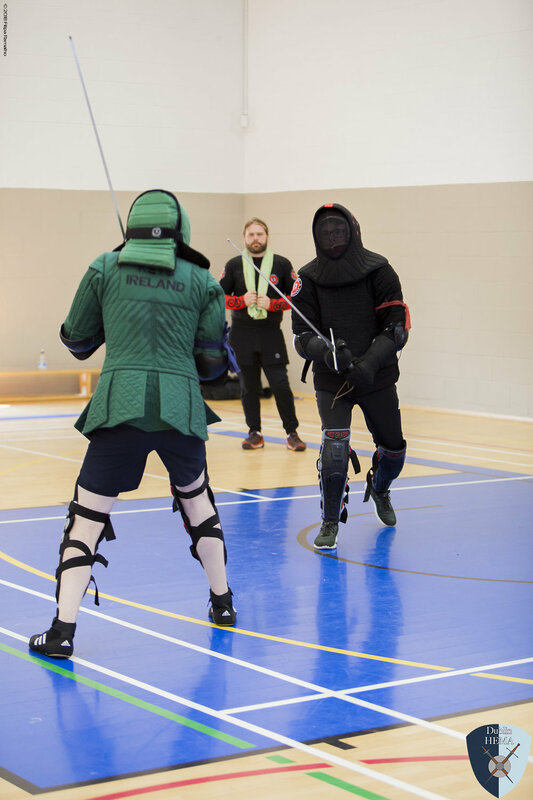 Our classes are twice a week from 18:30-20:30 on Monday and Wednesday evenings in St. Catherine’s Sports Centre, Marrowbone Lane, Dublin 8. 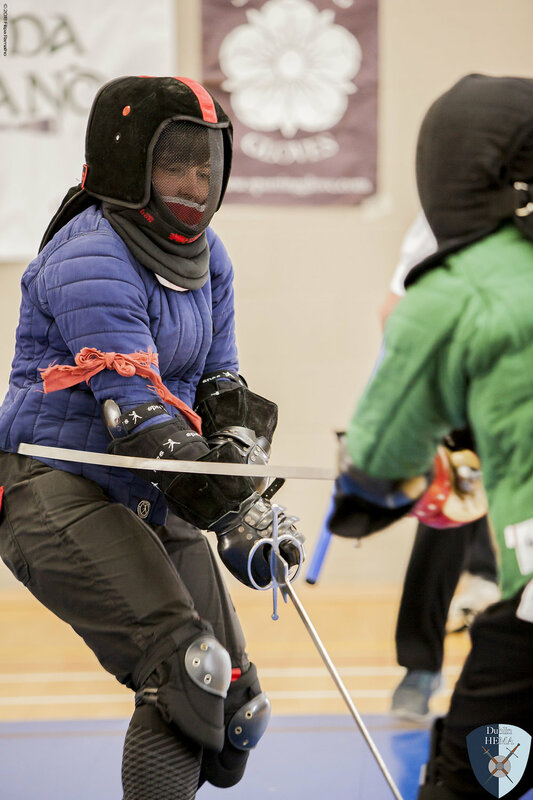 Classes rotate between Longsword and Sword & Buckler, with weapons switching every eight weeks so if you can only make it to training once a week you will still have the opportunity to train in both weapons. We also run an internal club league which meets on the last Sunday of the month. 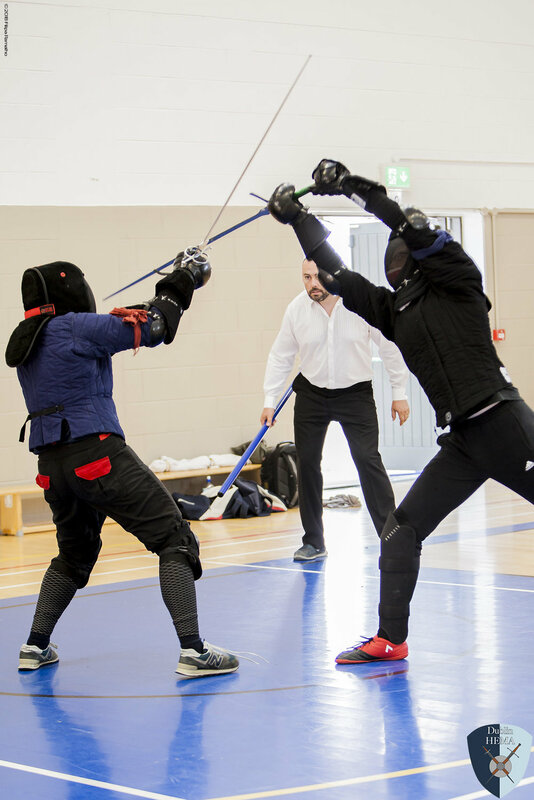 Here members have the opportunity to partake in competitive sparring against other members in a friendly and relaxed environment. 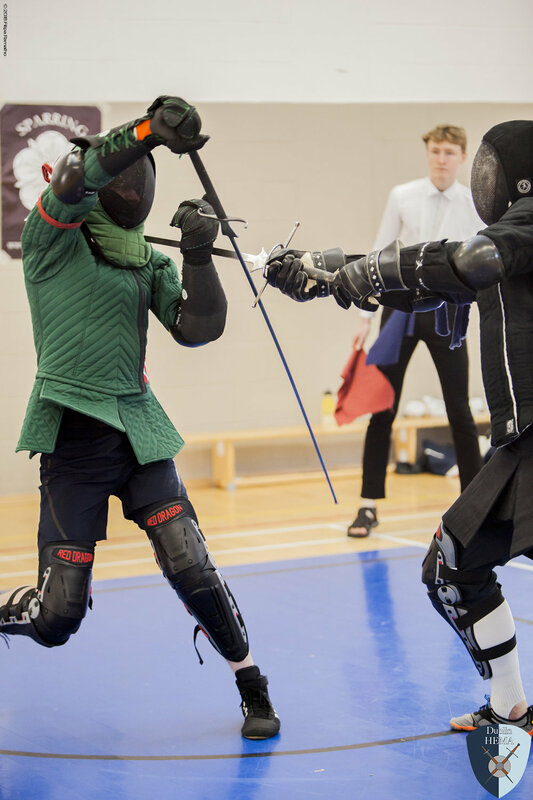 This is a great opportunity to test the skills you are learning in class and prepare for tournaments at the various HEMA events throughout the year if you wish. You do not need any equipment when you start as there is spare loaner equipment for new members. All we ask is that you bring comfortable training clothes and a bottle of water because you will get a good workout. There is a flat membership fee of €40 per month regardless of how many classes you can attend and an annual insurance fee of €50 per annum. For more information please see our FAQs and event pages.